Stand in Solidarity with the Movement for Black Lives! Add your name to show you stand in solidarity with the Movement for Black Lives! 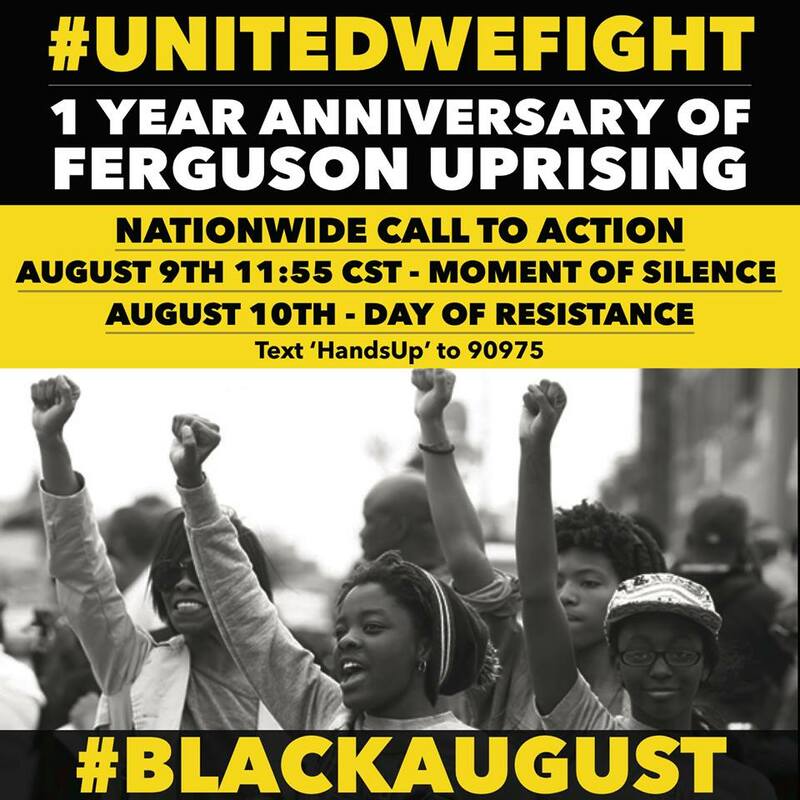 "I stand in solidarity with the #UnitedWeFight in unequivocally asserting that Black Lives Matter. I pledge to fight back against white supremacy, capitalism, colonialism, and patriarchy—the systems that created the climate crisis and leave black communities in the United States in a constant state of crisis of state-sanctioned violence, mass incarceration, and poverty. I recommit myself to organizing that centers an understanding of white supremacy’s role in the climate crisis and follow the leadership of indigenous and people of color in the Climate Justice Movement. I call upon climate and environmental justice organizations - and the wider climate movement - to do the same." Thousands of people across North America are organizing escalating actions this Fall to flood, blockade, occupy and shut down the systems that exploit us and jeopardize our future. We’re calling it Flood the System. With such an ambitious project, it’s time to recognize that many of us organize within predominantly white networks within a historically white climate movement. Because of decades of work by People of Color within the climate and environmental justice movements, the climate movement is learning to center the voices of the frontlines. However, the climate and environmental movement more broadly has been too slow to make the connections between climate justice, indigenous rights and racial justice. Add your name to help change that! Follow Showing Up for Racial Justice (SURJ) to find resources for white allies. Read the full Statement of Solidarity from Flood the System organizers. Learn how we can take this pledge beyond words in the Rising Tide Commitment to Anti-Racism, Anti-Racist Organizing and Accountability for Flood the System.